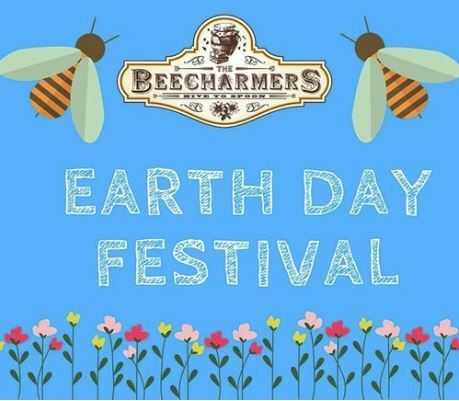 The Beecharmers is partnering with the Urban Village Community at Alhambra Mace Ranch, located at the Alhambra at Mace Ranch Apartments, 4500 Alhambra Dr, Davis, for a FREE afternoon of fun including music, food and prizes as we celebrate our beautiful mother Earth! Come check out live honey bees in an observation hive, taste some honey, plant your own mini pots and learn about seed saving with Leaf & Lark Farm-at the Cannery in Davis. Join a painting activity or create a native bee house. Lots of fun activities for adults or kids! There will be FREE Jamba Juice smoothies and delicious snacks from Nugget Market also. The Circle of Bees is holding a PolliNation Fest at the north end of Central Park, Davis, Saturday April 20th. The fest will celebrate completion of the 100 Hives Davis project. PolliNation Fest is a free-form, experimental event. We will most likely hang all 77 of our swarm capture, space-invader hives 30 feet up a tree as an art project. After the fest, all the hives will be deployed city-wide into a swarm capture network, to prevent spring swarms of honeybees from colonizing walls, ceilings, and chimneys where they cause a nuisuance and expense to humans, and extermination to bees. The network is a public utility to provide beekeepers access to gentle, healthy city bee swarms. Join the UC Davis Graduate School of Management in celebrating Earth Day 2019 with tours, games, educational talks, and refreshments at Gallagher Hall 4-6 p.m. on Monday April 22, Earth Day. Inspired bites, beer, wine, and non-alcoholic beverages will be served including local, upcyclyed, and sustainably-produced items. Join in the fun and win a prize by participating in a “Toss the Trash” carnival-style game testing your trash/recycle/compost characterizing skills. 4:30-5:00 p.m. Tours of the GSM’s waste disposal points with explanations of “what goes where” will answer your questions of how to responsibly dispose of your waste at the GSM. 5-5:15 p.m. Keynote Speaker Sarah Pace of the Department of Food Science and Technology will present a brief educational talk related to composting. 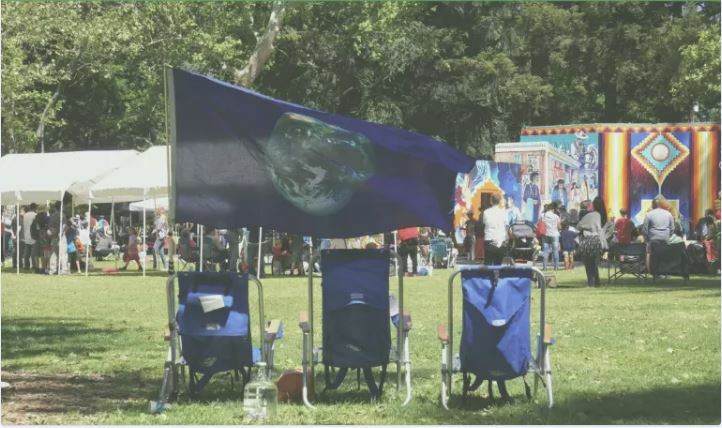 The Whole Earth Festival began in 1969 as a small art class project (“Art Happening”) on the UC Davis Quad. The students used art to teach visitors about the realms of activism, wellness, and environmental sustainability in an interactive and creative way. Following the United Nations’ recognition of Earth Day in 1970, the event was renamed to the Whole Earth Festival, fondly nicknamed as “WEF,” and has since evolved into a free student-run event, attracting over 30,000 visitors annually on Mother’s Day weekend. Earth Day at Sacramento City College will feature a drum circle from 12pm to 1pm, campus clubs, vendors, farmer’s market, and food trucks, along with local organizations SMUD, Cool Davis partner SacEV (with Tesla Model 3s, a Chevy Bolt, and a Nissan Leaf), Sierra club Sacramento Group, JUMP bike, and more. E-waste will be collected from 10am to 2pm. Sac State’s official Earth Day celebration began with the first-ever Student Climate Change Summit at the Sacramento State Student Union. College students from across the Sacramento area visited campus to share their ideas for helping the region achieve carbon neutrality by 2045. The Student Health & Counseling Services Department is hosting an event on Monday that will featuring blowing bubbles and not smoke, using giant bubble wands, and making leaf confetti for graduation. For more information, call Rachel at 916-278-2749. 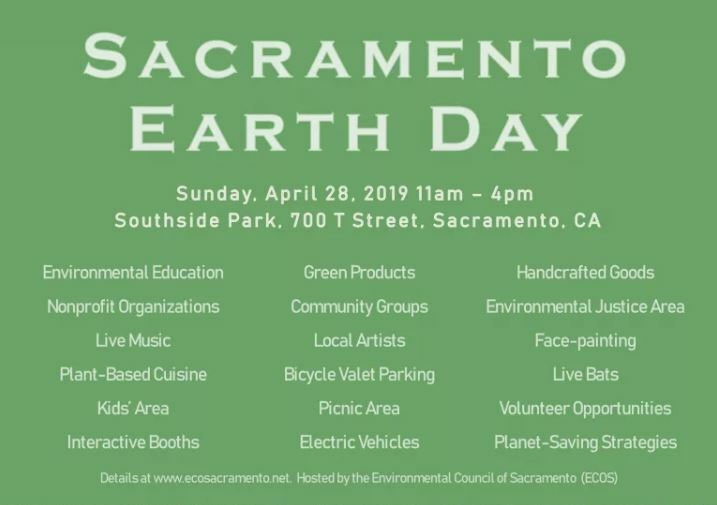 Sacramento Earth Day is all about building community and finding ways to help residents of the Greater Sacramento Region reduce our ecological footprint. Attend the festival for the opportunity to learn about a vast array of methods to live more sustainably. Around 150 organizations and businesses will be exhibiting a multitude of practical information, goods and services that cultivate a healthier, greener way of living. You’ll also find a variety of fun activities to enjoy for the whole family, including live music, interactive educational games and a kids’ area. There will be several food vendors serving a range of plant-based (vegan) cuisine options. We’ll also have electric vehicles to check out. Featuring local art, environmentally-protective products and even valet parking for your bicycle! 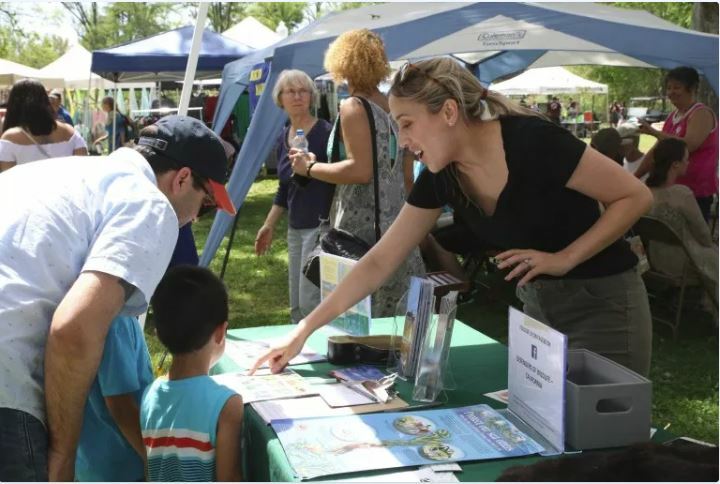 This is the largest Earth Day celebration in the Sacramento region, and admission is free! Organized by the Environmental Council of Sacramento (ECOS).